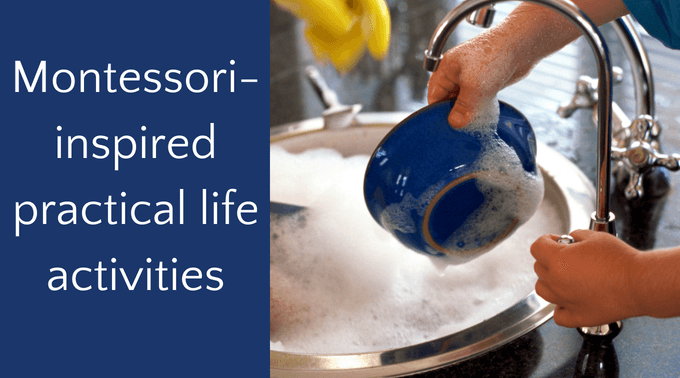 The following list of practical life activities are some of the ways I loved encouraging my sons to do “real work” in a way that seemed attractive to them, instead of making it feel like a chore. My neighbor gave me a hand-me-down copy of Teaching Montessori in the Home: Pre-School Years: The Pre-School Years (affiliate link) and I found it very helpful. Aside from reading Montessori-focused blogs, it was my primary source for inspiration. 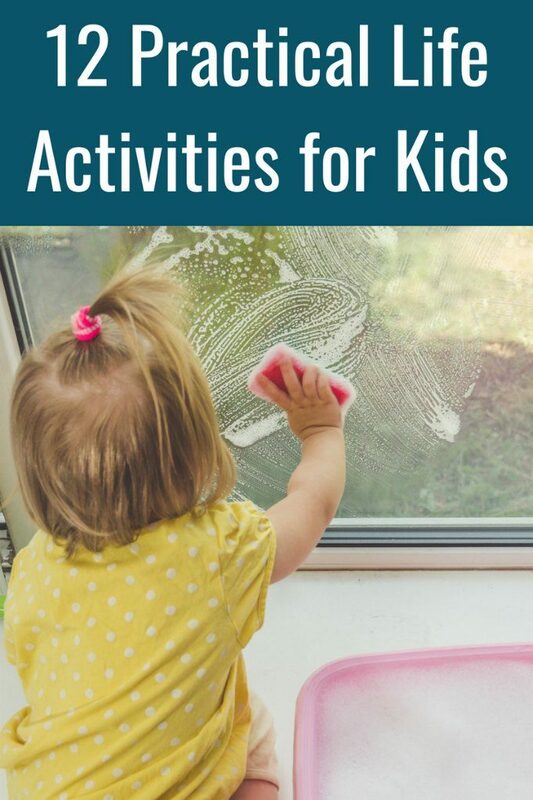 One of the benefits of teaching practical life skills is not just getting kids to help with chores, but kids start to better understand the amount of work parents have to do. They appreciate the value of what goes into taking care of a home, learn responsibility and become all around more thoughtful kids. Tip: Click on the links below if you would like to see a bit more about each activity. Setting the table. To teach my son how to set the table, I made a simple learning placemat. Tying shoes. I don’t know if this qualifies as a practical life activity in the the official Montessori handbook, but I found it tremendously practical to have my son tie his own shoes. Click on that link to learn the bunny ears rhyme! Teaching kids not to slam the door. I was so tired, tired, tired of hearing the door slam. He would slam the door no matter what his mood. Tip: peppy attitude required. Learning to prepare a snack using a knife. Preparing his own snack as a practical life activity gave my son a splendid sense of accomplishment. Taking measurements. Kids can help with redecorating or moving the furniture around! Pounding spices. My son loved being told it was okay to pound away! Plus, it’s great way to get out excess energy! Practice using a funnel. 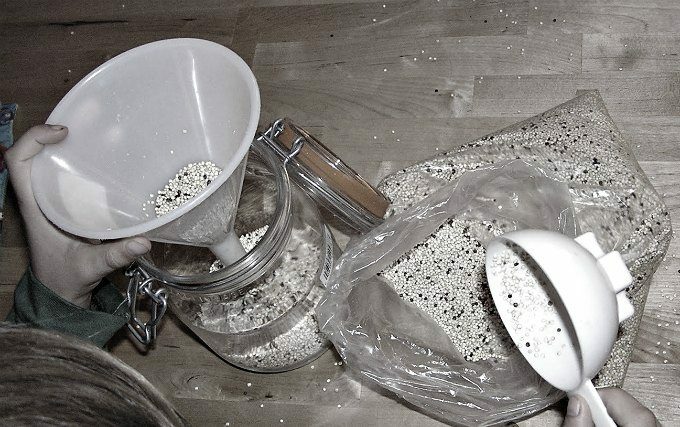 This is great when you bring home bulk food items. As you can see, it can get a but messy, but cleaning up afterwards is part of the learning experience. If they fill a jar with spices, it is also a great olfactory experience! Shelling peas. This practical life activity always works find motor and keeps them busy during meal preparation. See 10 more ways kids can help in the kitchen. Taking care of plants. Teaching children to care for house plants connects them with nature when they can’t get outside and gives them a way to add beauty to the world. Plus, what kid doesn’t love a spray bottle? Washing dishes. We all want help with the dishes, no? Preparing items for the compost. Teach your kids the importance of living green! 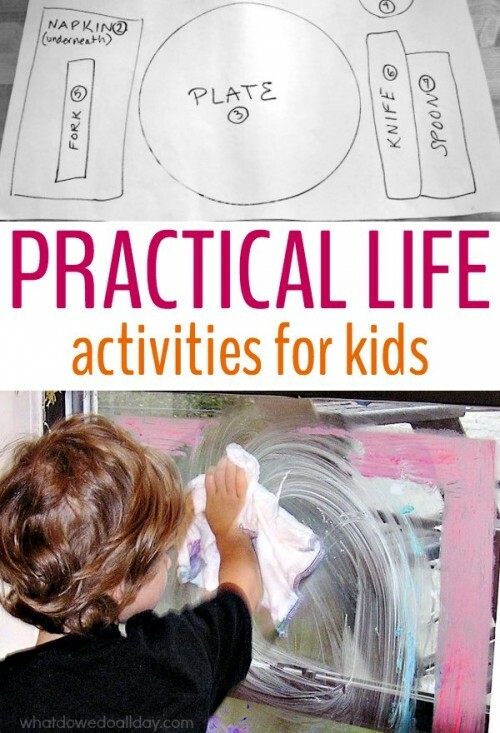 Of course there are many other ways to teach practical skills, like making the bed, sweeping the floor, cleaning up toys. 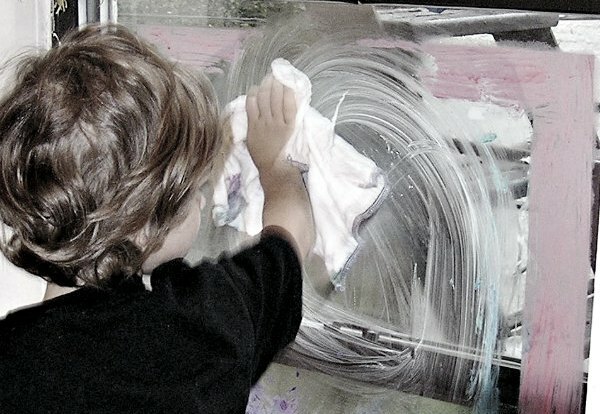 I found that one of the most important aspects of teaching my sons about these “chores” was not to approach them as “chores” but as simply the fabric of daily life.